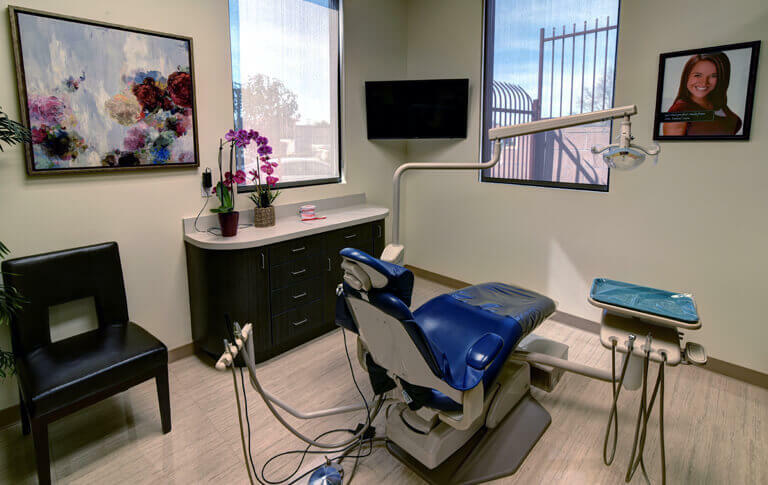 Root canal treatment is concerned with eliminating infection from the root canals of teeth and restoring the supporting tissues back to health. 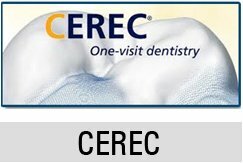 Its main purpose is to save teeth that have been so badly damaged by decay, fracture, abscess, etc. that usual dental procedures cannot fulfill. A root canal treatment removes the infected or damaged pulp from you diseased tooth. After that, the hollow pulp chamber and root canals are cleaned, filled and sealed b your dentist. 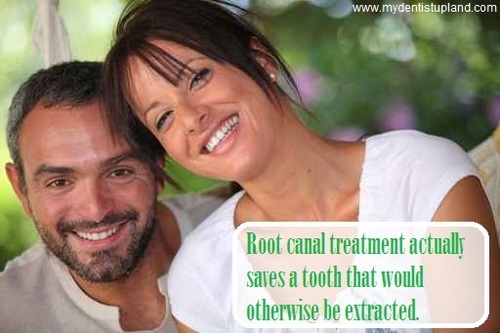 Root canal treatment actually saves a tooth that would otherwise be extracted. Although the pulp has been removed, the tooth is still anchored in the bone and can be used for biting and chewing. Root canal is done by making an opening into the crown of the tooth. The pulp is removed from the pulp chamber and the root canals. The canals are then cleaned and are filled with an inert material and the access opening covered with a permanent tooth filling. In many cases, a crown is placed on the tooth. Root canal treatment can sometimes be completed in one visit but often several visits to your dentist are needed. Back teeth usually require more time for treatment because they have more canals and are harder to reach. During this procedure, dental x-rays need to be taken at each stage to assess the lengths and positions of the canals. A root canal treated tooth may be slightly more brittle than a normal tooth but with the proper restoration and care, can last many years. Proper care includes regular brushing, flossing, proper diet and six-monthly dental checkups. In truth, root canals play an important role in repairing decayed teeth and preventing their loss. Root canal treatment can prevent bacteria and toxins from entering the bloodstream through the infected teeth and causing other health issues. Though most people prefer to avoid thinking of it, this type of treatment is often necessary. The treatment is not nearly as painful as most people imagine. A root canal is performed when the tooth’s nerve tissue is already dead. Because all sensory perception is delivered by this nerve tissue, the fact that it is dead means that the treatment can actually be performed without anesthetic. Root canals are nothing to fear. They can help save infected or damaged teeth, and are not nearly as painful as many people think.